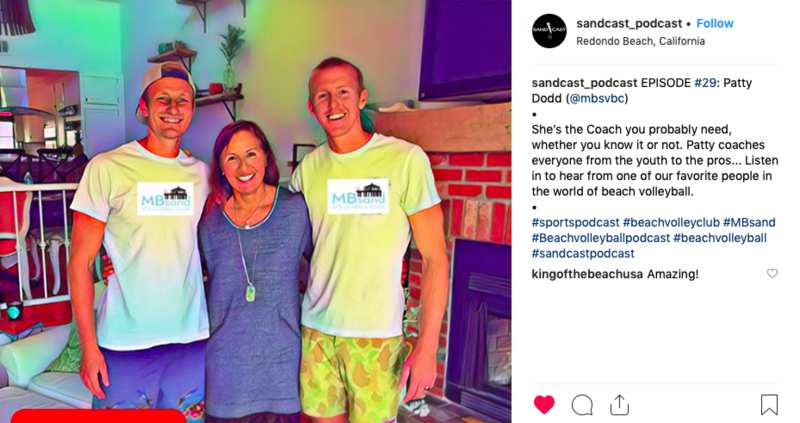 Coach Patty was interviewed over Memorial Day weekend for the Sandcast: Beach Volleyball with Tri Bourne and Travis Mewhirter Podcast. The interview touches on several topics such as the grass roots movement to get more boys involved in beach volleyball, coaching the men’s national team and some fun stories about Patty’s early days in the US, including her introduction to Hot Dog on a Stick and so much more! We hope you enjoy and if you are inclined, please follow their podcast.